Published: February 03, 2019 16:16 Samita Khanna, Special to tabloid! This is a year of balanced elements, which means we can expect a relatively stable year. Relationships between countries will stabilise and we shall see some improvements that lead to improved business and enhanced wealth. 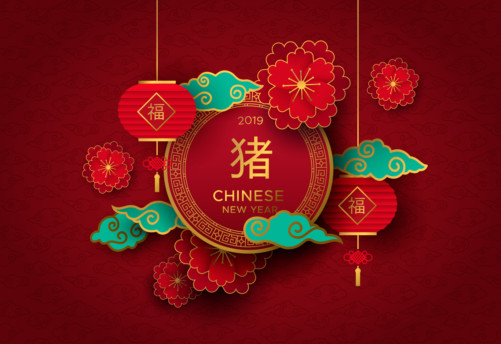 As such, while there is good potential for improved money luck, the growth rate of many industries will continue to be slow as we need Lap Chun (Spring Equinox) energy to grow (Chinese New Year is on February 5, a day shy of the Lap Chun, which falls on February 4). 2019 is also the last year of a 60-year cycle, which means that we should take steps to initiate new strategies, or diversify into new industries in preparation for the start of the new cycle of in 2020, the year of the Metal Rat. For those with great ambitions, with the right amount of determination, great success can be achieved. There will be no shortage of lucrative opportunities. This also means that for those thinking of changing jobs, best months to do so are in the first half of the year, from February until July. Both direct and indirect wealth energy is strong this year, with wealth coming from new innovations and strategies leading the pack, more so than from tried and tested methods. - Special Feng Shui Tip! Enhance business Chi in your home or office by placing a treasure chest or bejewelled wealth tree in the centre of your space. One of the most important rituals of Chinese New Year is to thoroughly clean the house. All rooms are scrubbed from top to bottom. The kitchen, in particular, gets a thorough cleaning. The kitchen is thought to be a source of wealth, so there’s an emphasis on removing old, stale stored food in the pantry and refrigerator. A rice urn is often displayed on a counter in Asian homes and is never allowed to go empty, as this symbolises losing wealth. To emphasise the symbolism of wealth and abundance, at this time of year all containers in the pantry are refilled and packages of food that have gone uneaten are discarded. Chipped plates are also considered unlucky and if new dishware is required, it is purchased now. Wealth is seen to come from the younger generation, which will continue to see the rise of the Digital Age. Enhanced Artificial Intelligence will lead the way with non-traditional methods of marketing and selling things. We are sure to see increased use of cyber currency and online payment methods, as well as plenty of growth in online shopping, as the IT industry is representative of Fire energy, which is the element that represents wealth luck this year. Keep your home well-lit, which will help you to actualise success and jump start the flow of wealth luck. This is not a year to be lazy or to be content with your achievements, as the Water energy of this year brings you the needed resources for excellent growth. This year benefits those born in the year of the Dragon, Snake, Rooster, Dog, Boar, Rat, Ox and Rabbit as you have enough positive influences in the year that help you succeed. The first half of the year is better for starting new ventures and to invest in new sources of income; while the second half of the year is better for realizing success and taking profits. The year also indicates some disagreements and disharmony between the older generations and the youth. - Special Feng Shui Tip! Place a cluster of red apples in the South sector of your living rooms to activate good fortune in 2019! Based on Chinese astrology, 2019 is a great year to make money, and to invest. This is a year full of joy, friendship and love for all the zodiac signs. It’s an auspicious year because the Boar attracts success in all the spheres of life. A year full of happiness and prosperity! A great year for new prospects to make money or change career. A mixed year and you will need to adjust and be more considerate to others, to gain anything. An excellent year is waiting for you. You will experience a mixed year of reconsiderations due to the impact of the Boar’s calmness. A more auspicious and better year awaits you. You face a mixed bag. Ambitions can be fulfilled with hard work. A year under the influence of chance for you. Be cautious. You need to pay attention to the quality of your relationships with others, if you want to succeed. This year count only on your own efforts in order to succeed. Persevere and you will greatly prosper. The year 2019 is yours, right? Start by setting your priorities and then get to work! Once you start moving, you will see amazing results. FENG SHUI TIP FOR 2019! On February 5, 2019, gently roll 15 mandarins or oranges into your home and office, from your entrance door, to usher in health and wealth into your life. Eat them the next day. — Samita Khanna is a master consultant at Feng Shui Arabia. For queries, eamil samitakhanna@hotmail.com or call 050-6560628.